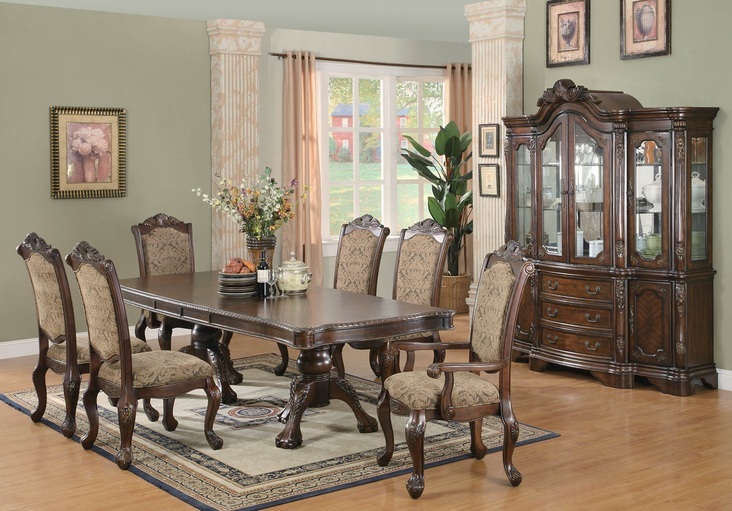 This impressive Andrea Collection by Coaster Furniture features rich carvings and fine accents all finished in a beautiful brown cherry tone. The table features a double pedestal base and an extension leaf to accomodate your extra guests. Matching china cabinet features storage drawers and cabinets with accent lighting while the chairs feature a beautiful upholstery covering the seats and backs. Make your guests feel welcome and comfortable with this set!